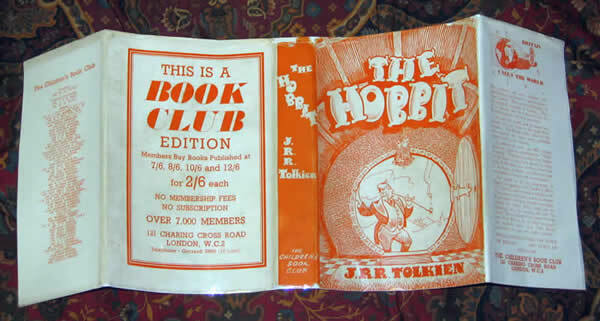 1st Book Club Edition, 1st UK 3rd impression, 1942 The Hobbit - SOLD One of 3000 copies of the 1942, 1st Edition 3rd impression, printed for the Children's Book Club of the bookseller Foyles, from the Allen & Unwin plates. 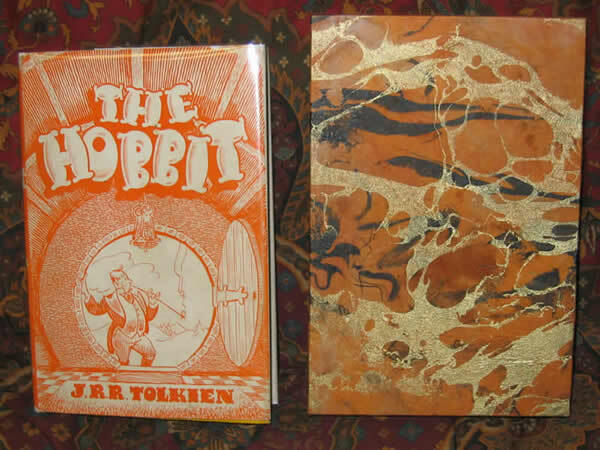 Bound in yellow, gilt-stamped cloth over boards, with a dust-jacket (which Tolkien thought hideous) in black, orange, and white, featuring a cartoon of a dandified hobbit. 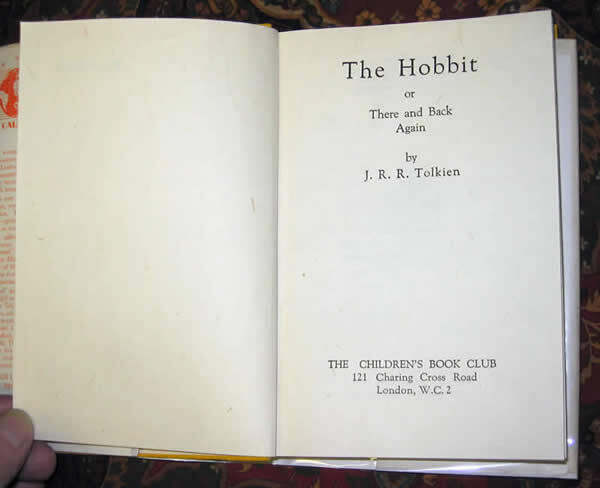 Tolkien commented, "Surely the paper wasted on that hideous dust-cover could have been better used." A scarce and desireable copy for the collector. 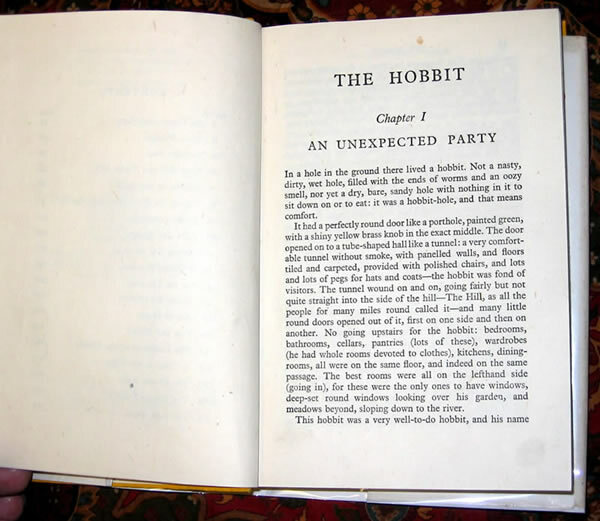 The book is in fabulous condition. 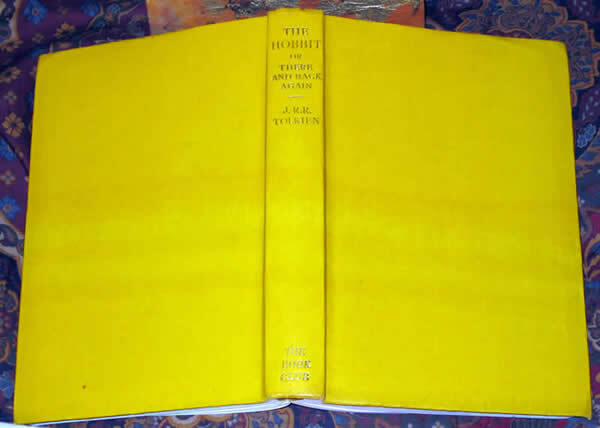 The boards are a bright yellow, with the gilt on the spine still bright and shiny, no tarnishing whatsoever. Minimal bumping or warping to the very thin boards as issued. Previous owners name to the front endpaper. 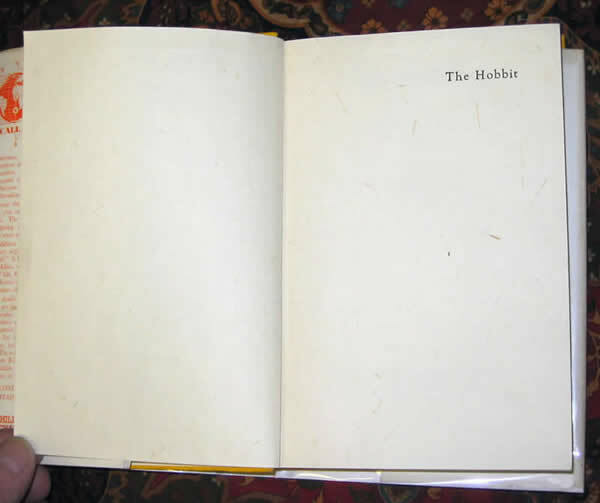 No foxing or offsetting to any pages, all bright and clean. 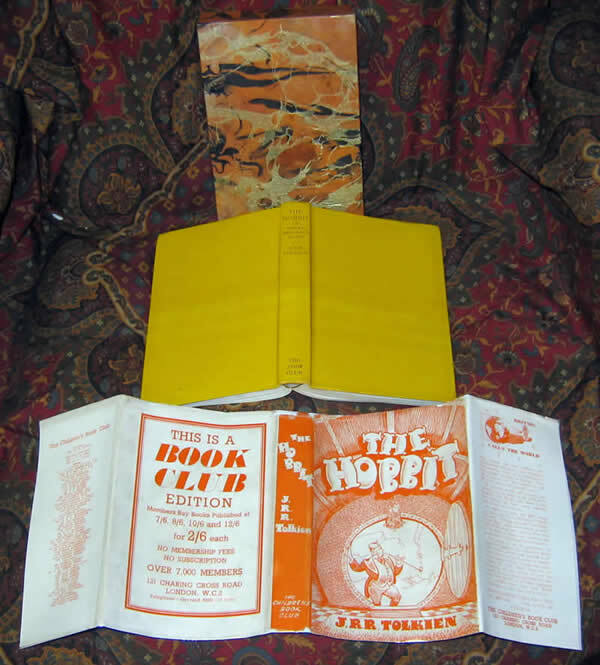 Features the "Book Production War Economy Standards" title verso, as found on only the 3rd and 4th printings of the 1st Edition. The dustjacket is in Very Good Plus condition. The orange color is still bright and strong, without fading or discoloration. 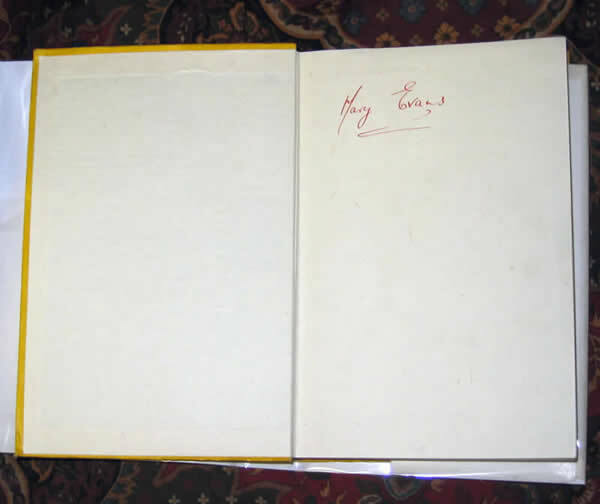 Lightly soiled, nost noticable to the white of the back of the dustjacket. Unclipped, with the smallest loss to the top of the spine, approximately 5 mm x 15 mm. Also has some rubbing and loss to the corners of the front folds of the flap, and spines folds. Has no restoration or reinforment to the dusjacket. 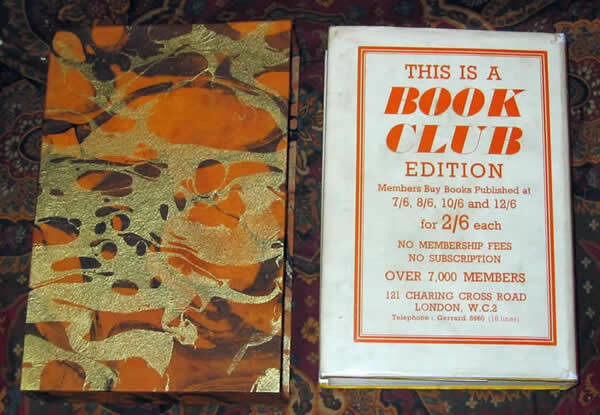 A beautiful copy of a very scarce book, housed in custom slipcase to protect and show off the book.